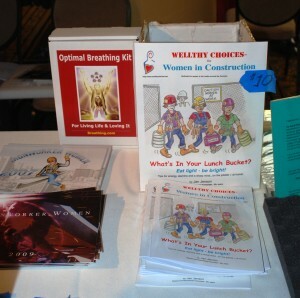 Wellthy Choices introduced “What’s In Your Lunch Bucket?” at the 8th Annual Women Building California Conference May 2-3 in Los Angeles. Combining my two careers – retired ironworker and health coach since 1968, I created this book for women (and men) who carry lunch buckets. 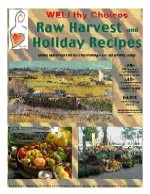 This book includes a collection of versatile lunch buckets, preparation tips before bed to save you time in the morning, good “tools” to use in your kitchen to make food prep easier, how to “Change Your Stinkin’ Thinkin’ and be grateful for a healthy life, what to do for the first 30 minutes each morning, a 10 minute rejuvenation exercise program, Squeeze and Breathe exercise to oxygenate your body, plus, recipes for green and fruit smoothies and breakfast ideas, including a wide variety of fresh juice combinations and fresh nut milks you can make in minutes. You will find lots of simple recipes, dehydrator snacks, power foods (super greens and supplements to power your body), and why enzymes are so important to MAINTAIN your healthy body. 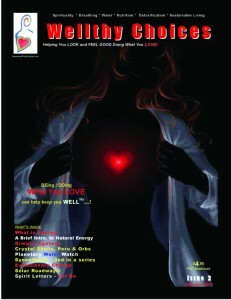 The section on natural remedies, including essential oils, homeopathics and products to detox your body will be expanded this spring and will also include good reading and websites to check out. Many thanks to Ironworker Jeanne Park from San Francisco (creator of the Ironworking Women calendars since 2002) and retired machinist and publisher of Pride and A Paycheck, Sue Doro from the San Francisco Bay Area for letting me share a table to display my books. 30 percent of my book sales went to Pride & A Paycheck (a non-profit) to help further their newsletter and expenses. Thanks gals… it was AWESOME meeting you and so MANY wonderful women in the trades this month. Oh what I would have given to see such support for women in the trades 30 years ago when I began my construction career in North Dakota! Now I can happily support and mentor women who are currently IN a trade and support and encourage girls and women considering getting into a trade to earn a decent living for themselves and their families! 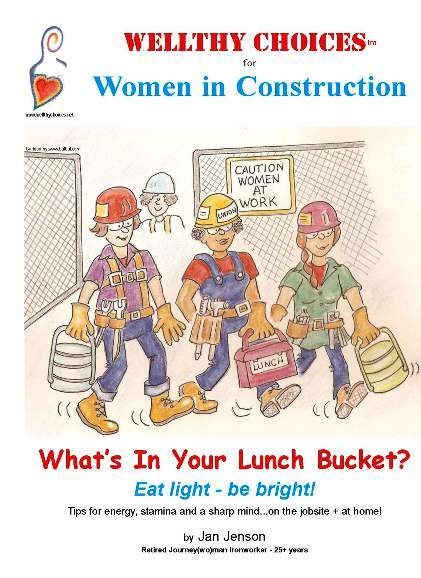 Check the Products page on this website if you would like to order “What’s In Your Lunch Bucket” for yourself… or order several and give them as gifts to your local sisters in the trades! This book DOES come in a print version, but the easiest and quickest way is to order the PDF download, which will be delivered to your desktop in mere minutes! Pay Pal and credit cards accepted.